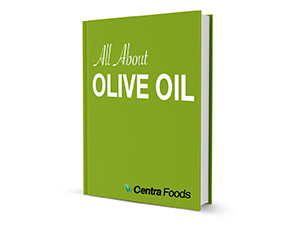 Organic Extra Virgin and Extra Virgin Olive Oil are a very similar quality oil, but one comes at a premium due to the organic documentation and certification process required by an independent USDA accredited agency. The olives are grown and the oil is produced in a very similar manner either way. However, there are slight differences between Organic EVOO, Premium EVOO and EVOO. it's important to understand the different options available, so that you can make the right decision for your business. Organic Extra Virgin Olive Oil is produced from olives that have been grown and harvested in an organic manner. The growing, harvesting, manufacturing and packaging has been reviewed by an accredited organic certifying agency, and they document that every step in the process has been up to par. This oil meets or exceeds all tested IOC standards for Extra Virgin. It comes at a premium price, simply because of the time and cost required for the organic verification process. Organic Extra Virgin is ideal as an ingredient in products that are certified USDA organic for resale. ... read more about how Organic Extra Virgin Olive Oil is made. Premium Extra Virgin Olive Oil is produced in a very similar way to Organic Extra Virgin Olive Oil. The oil is of the same quality as the Organic Extra Virgin and meets or exceeds all tested IOC standards for Extra Virgin. However, the primary difference is that the olive growing, harvesting and oil manufacturing has not been documented by an organic certifying agency. In reality, olive trees require little to no pesticides, so Organic Extra Virgin Olive Oil and Premium Extra Virgin Olive Oil most likely come from essentially the same quality of trees and are essentially the same oil. However, the Organic comes with USDA organic certified paperwork, which is why it comes at a premium cost. ... read more about how Premium Extra Virgin Olive Oil is made. The traditional Extra Virgin Olive Oil is produced from high quality olives, in a very similar way to the Premium Extra Virgin Olive Oil. The primary difference is that Extra Virgin Olive Oil meets all tested USDA standards for Extra Virgin Olive Oil. Again, the olives are produced using little to no pesticides, but an accredited organic agency has not certified this fact. This is a great quality oil for all applications. ... read more about how Extra Virgin Olive Oil is made. For the sake of this comparison, we've taken the oil origin and olive varietals out of the equation. Of course, these affect the oil, but it's important initially to understand exactly what you're getting and be able to make an apples to apples comparison.